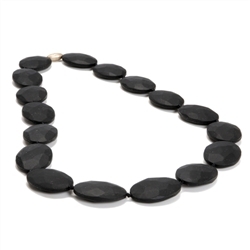 The Waverly necklace is one of our absolute favorite pieces of jewelry for mom and baby. This long necklace is easy to throw on with a dress or jeans and you can pull it on easily without it getting tangled in your hair. 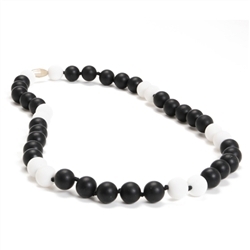 This necklace for teething babies also makes the perfect birthday or baby shower gift. 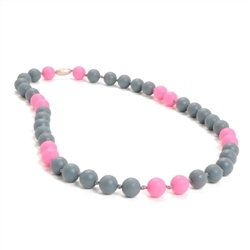 Try this chic necklace in stormy grey with pink highlights to add a feminine touch to your neutral tones. 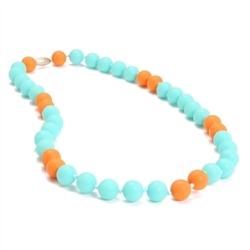 We also have a gorgeous turquoise with fun orange accents to showcase your personality and a beautiful black and white necklace to add a touch of sophistication to any outfit. 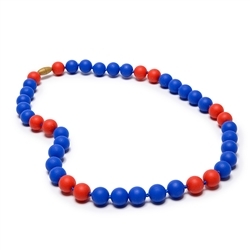 Try pairing this beautiful multi color bead necklace with the Charles bangle for a perfectly coordinated ensemble.